A weeklong celebration of a groundbreaking series. 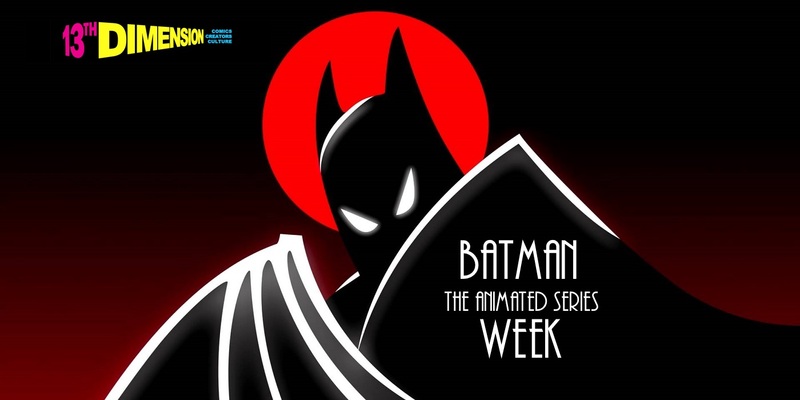 Batman: The Animated Series — the brainchild of Bruce Timm, Eric Radomski, Paul Dini and a team of animation visionaries — celebrates its 25th anniversary Tuesday, Sept. 5, but we’ve got a whole week of retrospectives planned for you here at 13th Dimension. So keep checking back at this post, because we’ll be updating with links all week long! — The Secret Origin of BATMAN: THE ANIMATED SERIES, by John Trumbull. Click here. — Comics Creators Pick Their Favorites. Click here. — How BTAS Changed Animation, by J.J. Sedelmaier. Click here. — Artist KEVIN NOWLAN Lifts the Cowl on His Original BTAS Character Designs. Click here. — KEVIN ALTIERI on Directing the Classic Episode ON LEATHER WINGS. Click here. — The TOP 13 BTAS Episodes, by Artist ANDY FISH. Click here.